Since 1991, A-1 Domestic Professional Services, A-1 Home Care & A-1 Caregiver Agency It has been dedicated to providing excellence in Home Care Service. Through our distinguished and personalized service, we have built ongoing relationships with our customers. We are committed to value, excellence and satisfaction. Here's what our customers have to say about our service. "The caregivers provided by A-1 Domestic / A-1 Home Care Agency are very protective of my Aunt. I could see the geniune affection her caregivers have for my Aunt when I visit. I am very happy with the home care service provided by A-1 Domestic." Bill of San Fernando, CA. Pegg of Pico Rivera, CA. "Mother is getting the best of senior care from A-1 Home Health / A-1 Home Care Agency. It's exactly what she needs. The caregiver is doing very well." "I was very pleased with the level of in-home care my mother received. Her Caregiver, Andrew, became like a son to me and her other Caregiver, Jose, was so wonderful to have. A-1 Home Health Agency / A-1 Nurses sent us 5 Star Caregivers." Tane of Costa Mesa, CA. "Everything is going very well thanks to A-1 Homecare / A-1 Home Health Agency. Our Caregiver, Reyna, is providing excellent care." "Our Caregiver, Andrew, did a good job providing in home care for my elderly father. He was reliable, extremely respectful and diligent. My dad really likes him. Thank you A-1 Home Health Agency / A-1 Nurses." Treena of San Clemente, CA. "My husband and I were very impressed with the Caregiver A-1 Home Health / A-1 Home Care Agency sent to help after my surgery. Barbara was very professional and attentive. We had peace of mind knowing she was watching over me. I will recommend A-1 Home Care to anyone needing post surgical care." Nellie of La Puente, CA. "I really appreciate everything A-1 Home Health / A-1 Home Care Agency has done for my parents. Ester is a fantastic Caregiver, I couldn't ask for better. She is absolutely wonderful. I also like the way A-1 Home Care checks in with me on a regular basis." "The senior care service from A-1 Nurses / A-1 Home Care Agency is going very well. The caregivers are just great. I have already referred A-1 Home Care Agency to several friends and will continue to do so." Arnold of Aliso Viejo, CA. "My family is grateful for all the help A-1 Home Care Agency / A-1 Nurses have given in regards to our Mother, Emma. We commend A-1 Home Care for their service." Pam of West Covina, CA. Janet of Bell Gardens, CA. "Everything is going very well. The Caregivers from A-1 Caregiver / A-1 Home Care Agency are just great." Max of West Covina, CA. "I appreciate the great service my family has gotten from A-1 Home Health / A-1 Home Care Agency." Robert of Garden Grove, CA. "A-1 Home Health Care Agency / A-1 Nurses provided excellent in home care for me. They have very professional caregivers." Pearl of Granada Hills, CA. "He goes beyond his work expectations. Our Caregiver from A-1 Domestic / A-1 Home Care Agency knows his job well; he is always reliable and very punctual." Rama of Monterey Park, CA. 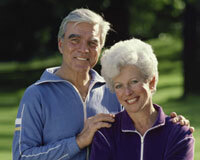 "It's a comfort knowing A-1 Home Care Agency is there. You have taken quite a bit of the stress and burden from the situation for us both. I feel very reassured knowing the lengths you go to for customer satisfaction. No other agency compares in my mind." "Everything is OK. We are happy with the service we received from A-1 Caregiver Agency / A-1 Home Care Agency. I have recommended this elder care agency to friends." "A-1 Home Care Agency sent us an excellent and very intelligent Caregiver. We are very glad to have her services!" Diane of La Mirada, CA. "So far, everything is going very well with service from A-1 Homecare / A-1 Home Health Agency. My dad and I both like Gabriel very much. He is an excellent Caregiver." Rick of Long Beach, CA. Cindy of Diamond Bar, CA. "Everyone and everything is good and happy! Thank you A-1 Home Care Agency for the excellent Caregiver." "The Caregiver we hired from A-1 Home Care Agency keeps my father very clean and his appearance extremely neat. He does his duties with neatness and caring attention." "The Caregiver from A-1 Home Care Agency, Jacqueline, is a great care provider!" Linda of Huntinton Beach, CA. "I am very, very happy with the home care service Eva provided my Aunt! If we need a caregiver again, I wouldn't hesitate to call A-1 Home Health Agency / A-1 Nurses." Chris of La Mirada, CA. "We are very happy with the Caregiver A-1 Home Care Agency sent. My mother likes her and feels safe with her. She is always there and ready to help, this makes the long hours spent together more comfortable for mom." Maria of West Hollywood, CA. "My whole family is very happy with the service provided by A-1 Home Care / A-1 Caregiver Agency." "I refer A-1 Caregiver Agency / A-1 Nurses to friends all the time. This home care agency is very professional. A-1 Caregiver Agency is at the top of my list for senior care." Diane of Yorba Linda, CA. "A-1 Caregivers / A-1 Home Care Agency is great. The Caregiver they sent is very attentive and sweet." "We are lucky to have such a valuable caregiver. Thank you A-1 Home Care Agency." Marilyn of Palm Springs, CA. "We are happy with the live-in home care service from A-1 Caregivers / A-1 Nurses." Bill of Laguna Beach, CA. "We are being well cared for by our Caregiver from A-1 Home Care Agency / A-1 Nurses." Doris of Ranchos Palos Verdes, CA. "My mother likes her Caregiver, Krishna. Everything with A-1 Home Care Agency is very good. I appreciate the friendly follow-up they do." Eve of Long Beach, CA. "The Caregiver we hired from A-1 Home Care Agency was outstanding and provided our family with much assistance when we needed it. Thank You!" "I really appreciate the great work A-1 Home Health / A-1 Homecare Agency has done. The caregivers are a great relief." Margaret of South Pasadena, CA. "A-1 Home Care Agency / A-1 Nurses sent a wonderful young man to be a Caregiver for my husband." Pam of Los Angeles, CA. "The Caregiver from A-1 Home Care Agency has made such a terrific difference in our dad’s quality of life. He is the first person outside the family he trusts. Praise the Lord." "My family appreciates the service provided by A-1 Home Health Care / A-1 Caregiver Angency. We recommend them to anyone who needs home care for family member." "My family thanks A-1 Home Health / A-1 Homecare for their wonderful support. We also commend both Caregivers, Carlos and Jessie for their caring service. Thank you, Robert (the Account Manager) for your guidance and assistance during this difficult time." Dolores and Edwards of Downey, CA. "Zulema, our Caregiver from A-1 Home Care Agency, is really, really good." Debbie of Costa Mesa, CA. "I am completely happy with the arrangements with A-1 Home Health / A-1 Homecare Agency. Making the change in service and caregivers is a great relief."